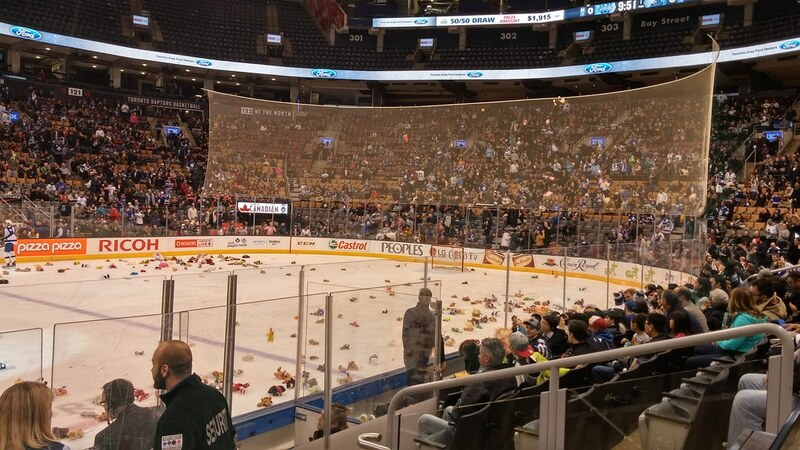 I attended today's Toronto Marlies game with my family at the ACC, and it was Teddy Bear Toss night. 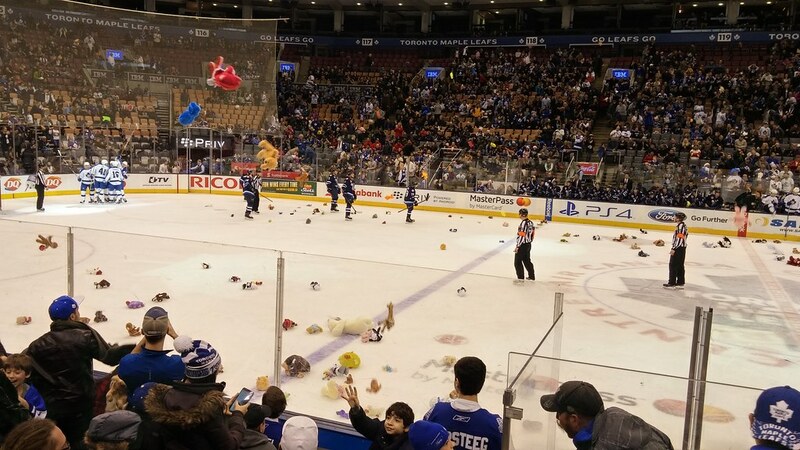 After the first Marlies goal, people threw stuffed animals on the ice to be collected and donated to Yonge Street Mission. 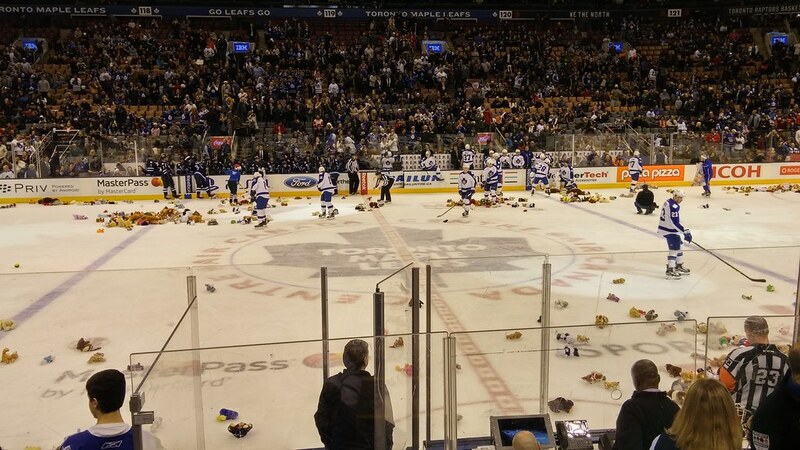 About 10 minutes into the first, Andrew Campbell scored for the Marlies and the fun began. 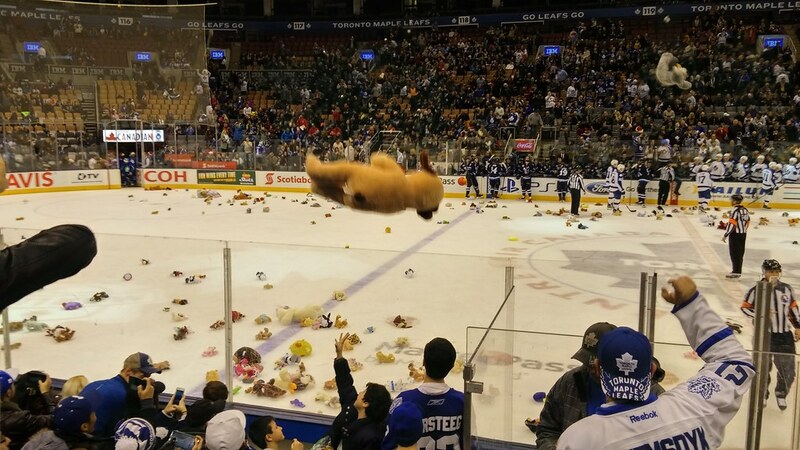 It was my first Teddy Bear Toss experience, and it was pretty damn awesome. As you could imagine, the kids loved it. My favourite photo is the one with the bear in flight in the middle of the image. That makes the whole series much more real. I'm going to have to pay attention and go to the game next year. Last night was the Teddy Bear Toss Game for the Calgary Hitmen. The Hitmen play in the Saddledome, so you've got an NHL-spec arena full of fans (im)patiently waiting for THE GOAL. Whoops...it wasn't last night, but that doesn't take away from the fun. When the Marlies play the ACC, they don't sell tickets in the upper . We can't compete with that. @Mike - I like that teams host the events and encourage the fans. So the winners are the children and charities. I think the fans in the lower seats in Calgary have to watch out for the bears from above that don't quite make it to the ice and then need a second, third, fourth toss to reach the ice.